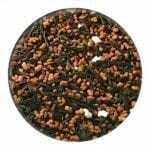 The Japan Genmaicha is a Bancha Green tea infused with husked rice, making it a light brown refreshing brew with a slightly spicy taste. The Japanese Sakura cherry combines fruity sweetness with light creamy notes, one of the true classics among our flavoured green teas. 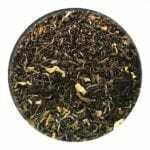 Jasmine tea is one of the oldest flavours to be blended with tea. 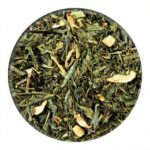 Here we have a high-grade Chinese green tea with fragrant Jasmine flowers that forms this refreshing unique duo of flavour and aroma. 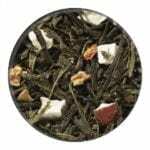 Jasmine Congou loose leaf tea is a Chinese green tea infused with delicate jasmine petals. 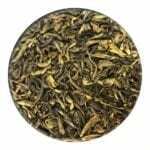 Our Jasmine Dragon Phoenix is a tea that has been produced by hand for over 100 years. 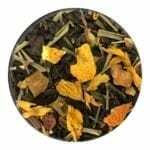 A beautifully aromatic and fresh Lady Grey tea with gorgeous orange and bergamot oil. 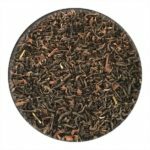 A tea unlike any other. 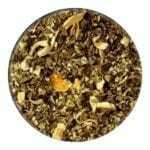 The Lapsan Souchong has a flavour which is very aromatic, and the tea itself has a pronounced smokiness to it; often referred to as the aroma of dried plums or cigars. Grown in many countries with a tropical climate, lemons have been endowed with a juice which is rich in sugar and acid. 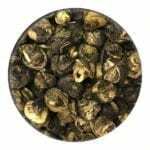 This popular tea is named after the Maharani (Indian for Queen) It is an unusual mix of black and green Chinese tea. 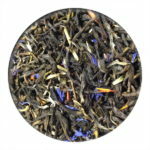 This loose leaf infusion is fabulous with a soft floral note that is not overpowering. Mango is an exotic fruit which is lovely in so many ways. 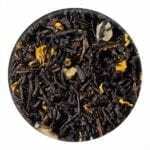 Our loose leaf black mango tea has a fresh, sweet and fruity aroma and a great taste. 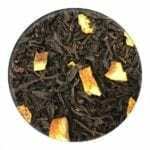 An amazing combination of green tea, walnuts and sweetness - this tea smells of maple syrup - a must to try!. 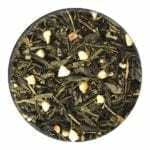 Our Martynique is a combination of Chinese green and white tea with exotic fruits of papaya, pineapple and sunflower petals. 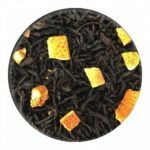 Mate Sweet Orange has the fresh taste of fruity, sweet oranges and goes well with the moderately strong spicy, slightly smoky Mate tea. 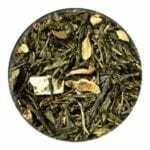 An unusual mix of white tea (38%) Pai Mu Tan and Green tea (25%) Sencha. Was the Tree of Life in the Garden of Eden a pomegranate tree?. The pomegranate is considered a symbol of immortality and sensibility. 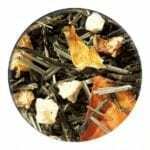 Pu Ehr with lemon grass, lemon and orange peel with some pineapple pieces. 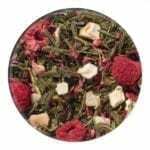 The inspiration for this tea came from a delicious raspberry muffin, which put a happy smile on all our faces. 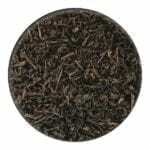 This tea was so successful as a special offer, that we decided to adopt it!. 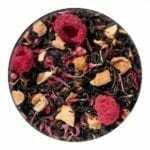 Deep pink raspberries and a bouquet of pink cornflowers complete this already perfect tea. We offer an impressive combination with a stunning flavour diversity. Sweet, nippy, well-balanced ═ simply perfect!. 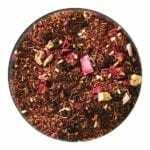 This Raspberry and Rhubard Rooibos blend offers harmony and perfection in every cup. This blend is also a piece of art to look at. 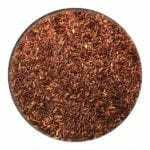 Rooibos with Namibian Vanilla is a successful redbush creation, vanilla from Windhuk is original and spicy in scent and taste, and this is due to the superior quality of the vanilla. Pure and sweet temptation! This is a tasty and refreshing brew with a beautiful floral finish. 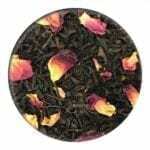 This Rose tea belongs to the classical "scented teas". 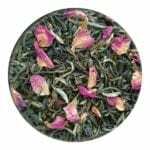 The China Rose tea has a typically sweet, full taste and flowery flavour. Connoisseurs improve its note with a dash of cream or milk. 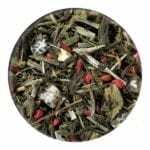 A good tea for lovers of Russian tradition. 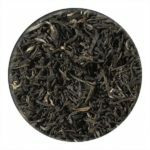 Russian Caravan has a distinctive smoky flavour and rich aroma, which arises from the mixture of oolong, keemun, lapsang souchong teas. Also known for having a sweet and malty taste. 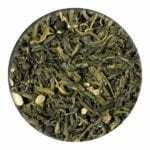 Green tea from China and Ceylon, a new combination! Also due to the great demand which has reached us from around the world, we have included this unusual but convincing creation in our range. 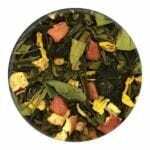 Sencha Green Apple and Kiwi combines the classic green sencha tea with a fruity twist. 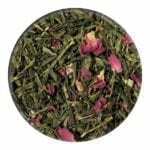 A wonderful flavoured loose leaf green tea which can also serve as an excellent thirst quencher. 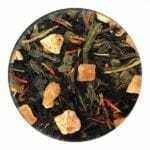 A fabulous green chinese sencha loose leaf tea infused with orange, papaya and lemon grass. 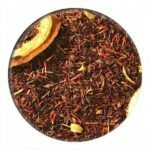 This tea will remind you of a bright and sunny summers day and will refresh and invigorate you with its citrussy aroma and taste!.